This is the official preview version of Microsoft’s next operating system. 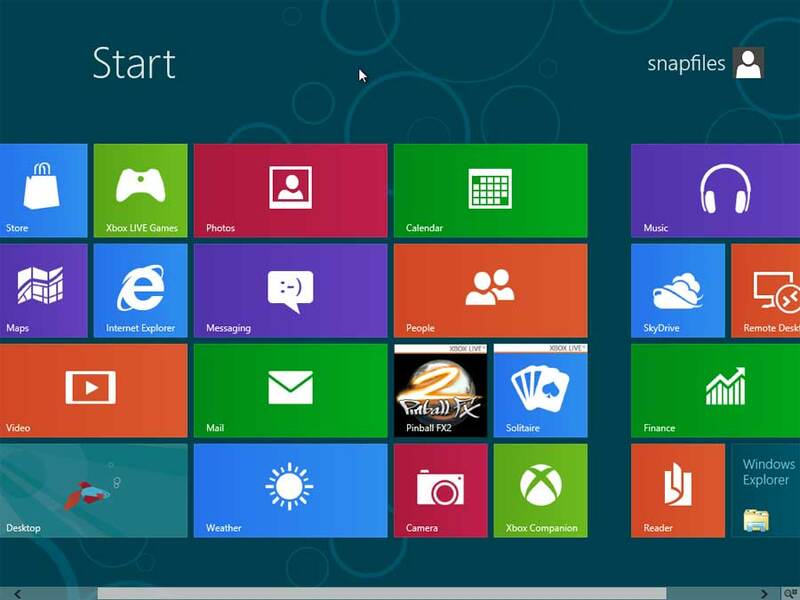 Windows 8 is built on the Windows 7 core and introduces a new touch interface, optimized for portable devices. The drastically new look is mainly caused by the new navigation system which replaces the old Start Menu and uses large, colorful tiles and hideaway toolbars that appear when you hover your mouse in the left or right screen corner.If you exit the Metro interface, you will find a familiar Windows 7 desktop with icons, right-click menus and Windows Explorer. The common settings and configuration dialogs have been simplified and optimized for touch screen access and portable devices. The Control Panel, device manager and other advanced configuration options have mostly remained unchanged from Windows 7. (Check out our screenshots! )Windows 8 also includes an (App) Store with integrated video and game purchases and downloads, similar to the XBox 360 Guide. Another big change is that you can choose to run Windows 8 under a local account or a Microsoft account, which is required for many of the new media features (music, video, calendar, mail etc.) and integrates your Windows user account with many Microsoft services. (Not so sure about this one. )The download comes as an ISO disk image that needs to be burned to a DVD. Keep in mind that this is just a preview version and will expire at some point, do not replace you current operating system with this. We recommend installing it on a spare computer or virtual machine.The product key for this Consumer Preview is: DNJXJ-7XBW8-2378T-X22TX-BKG7J (required during installation).